New Classics Media is producing the movie version of Legend of Chusen 青云志. Although the cast has not been formally announced, Xiao Zhan (Oh My Emperor) and Meng Meiqi were seen at the launching ceremony this week. 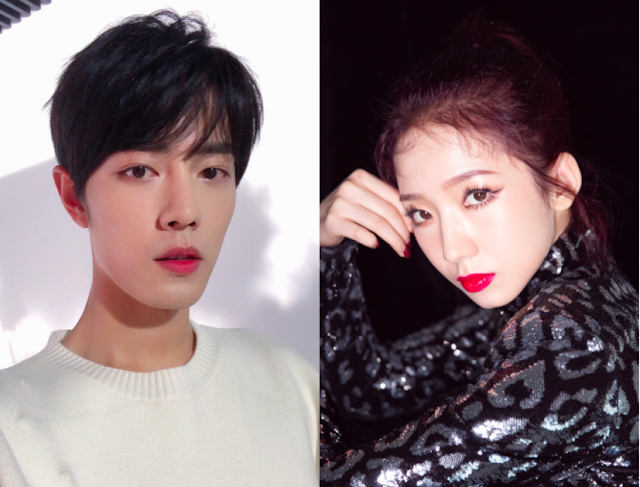 Presumably, Xiao Zhan will be playing the role of Zhang Xiaofan and Meng Meiqi will be playing Bi Yao. Rumor has it that Li Qin (Princess Agents) will be playing Lu Xueqi, but she wasn't present at the ceremony. The original drama starred Li Yifeng, Zhao Liying and Yang Zi and based on that version, Bi Yao would become the main character's love interest. 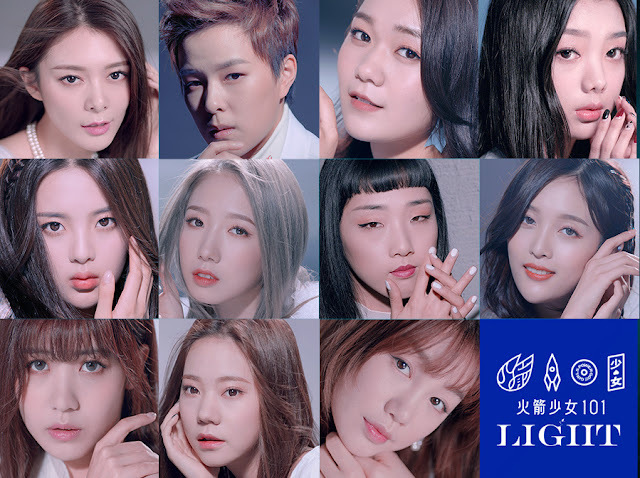 It's interesting to know that the Xiao Zhan (X Nine) and Meng Meiqi (Cosmic Girls, Rocket Girls) have a career as idols. Xiao Zhan has been in several dramas and also has an upcoming drama with Li Qin in The Majesty of Wolf. Chusen is Meng Meiqi's first leading role, but who knows, maybe first time's a charm. All I can say is the story is not even interesting and the drama is a huge mess. Yang Zi is not the prettiest girl ever but playing Lu Xueqi gave her so much blacklash for playing as the most beautiful woman who also gotta be unrealistically icy cold like a robot. Li Qin is not any prettier or uglier than Yang Zi, good luck to her. I wonder if there is any character in the book that falls in love with Xueqi but cannot marry her, basically, just go create a plastic doll that looks exactly like her and there would be no difference at all because even with the real Xueqi she would not talk or do anything. I thought Yang Zi played her role very well in that drama, as well as the rest of the cast. She look really pretty in the drama, her styling was very beautiful. It was the script and pace that killed the drama. This Meng Meiqi girl looks... ugly lol, and that's with full stage makeup and eyeliner. I wonder how she's going to look without heavy makeup in the film. Biyao is supposed to have large eyes and looks cute so idk why they hired her. Maybe her sponsor insisted to put her in. Imo Zhao Liying was perfect as Biyao. Also idk why Li Qin would take this. Cnetz are speculating that she is dating Xiao Zhan so she took this as a favor to him. But yucks. This movie is going to flop hard with two newbies and Li Qin herself is not enough to bring in the audience. Wow didn't know Biyao is supposed to have large eyes. I hope nobody would try to go enlarging their eyes for this role LOL. Most likely because, like Xiao Zhan, she's also under contract with New Classics Media to appear in their productions, hence why including this one both of them has co-starred in three productions together (not including Fights Break Sphere): The Wolf, Joy of Life and this movie (if it's not just a baseless rumor). Li Qin dating Xiao Zhan? Lol, that's wild, but I get how people would think that. Is this produced by a different company than the one who created the series? Most likely they will. No reason to produce a movie if it'd end up exactly like the drama. I have to say tho, the cast is too underwhelming especially Bi Yao's actress. But we'll see. I'm guessing that they will follow the novel, that is the main love interest is Lu Xue Qi instead of Biyao. Then again, isnt that mean that Biyao will only appear shortly and will be sleeping along the show? 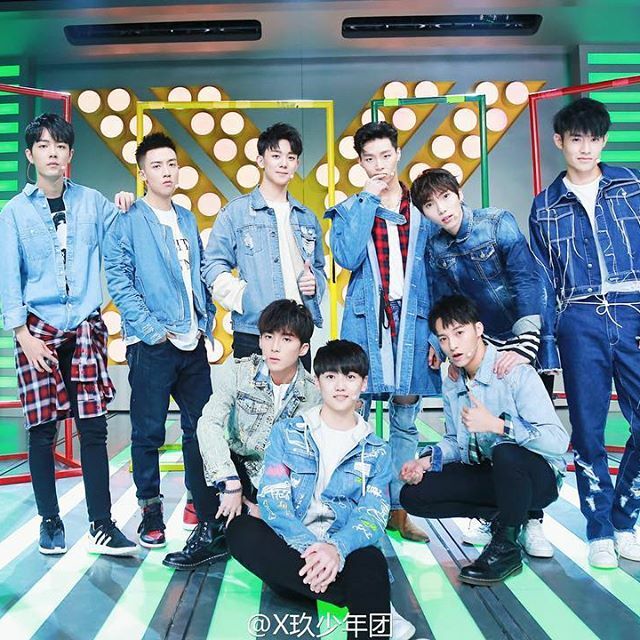 Yifeng was too handsome, while Xiao Zhan is way too pretty. Looking him up on twitter was a mistake lmao, but at least they try to un-pretty him as much as they can if we're looking at the pics for the booting ceremony. The new Bi Yao is still not cute enough imo. Since this project is supposed to be a series of movie, we'll see a lot of Bi Yao in this Part 1. Maybe. "looking him up on twitter was a mistake"
...well now I'm intrigued, haha. Gonna do that later. Thanks! You're right. Xiao Zhan is pretty *lol*. And yeah, this is just the part 1, so there should be a lot of Biyao.